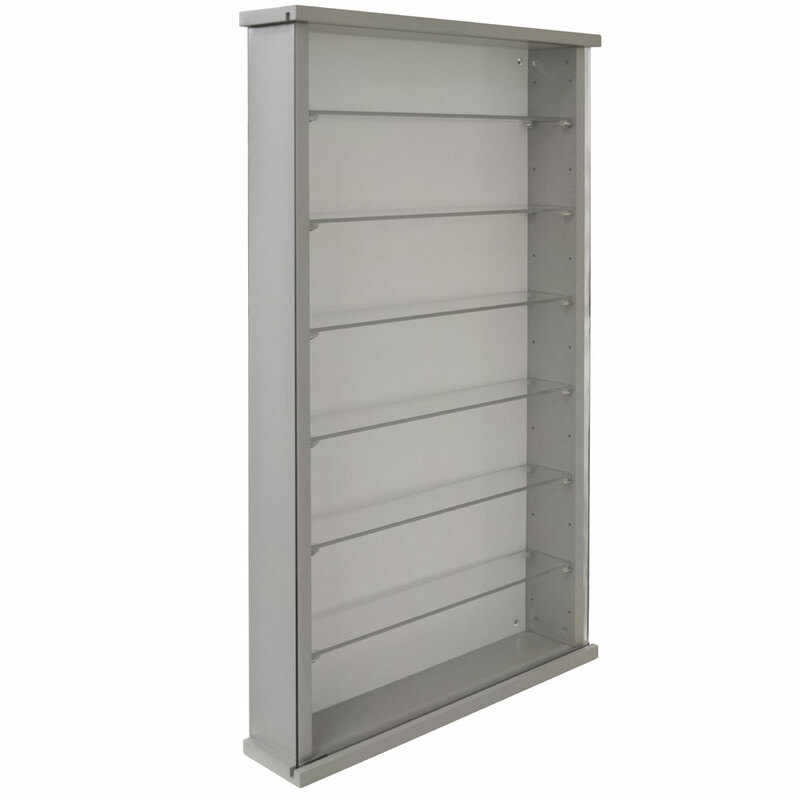 Stylish solid wood wall mountable display unit in a sleek grey painted finish with white painted backboard and six adjustable tempered safety glass shelves and sliding glass door. 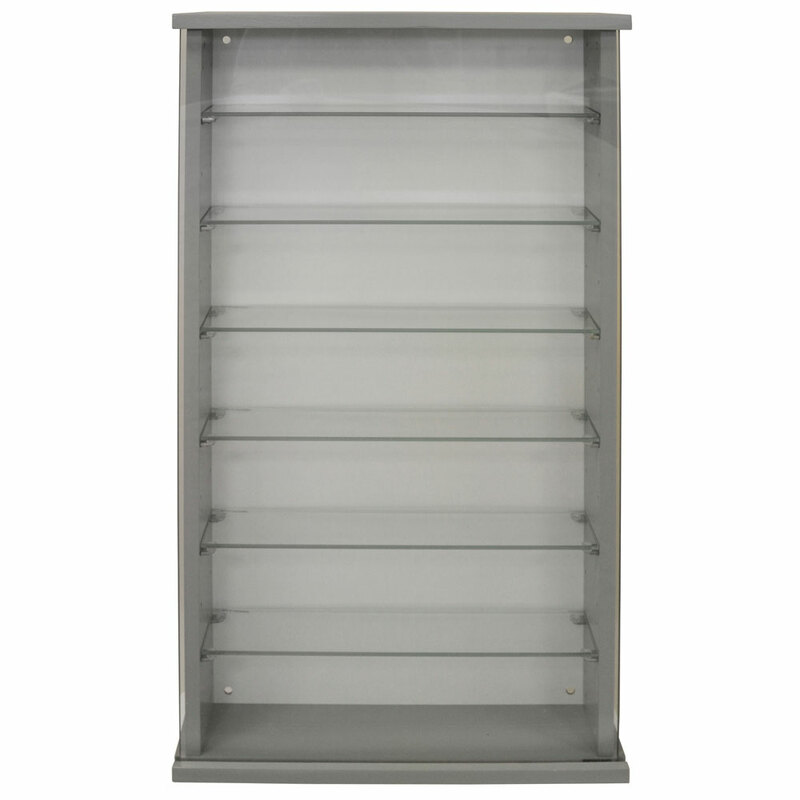 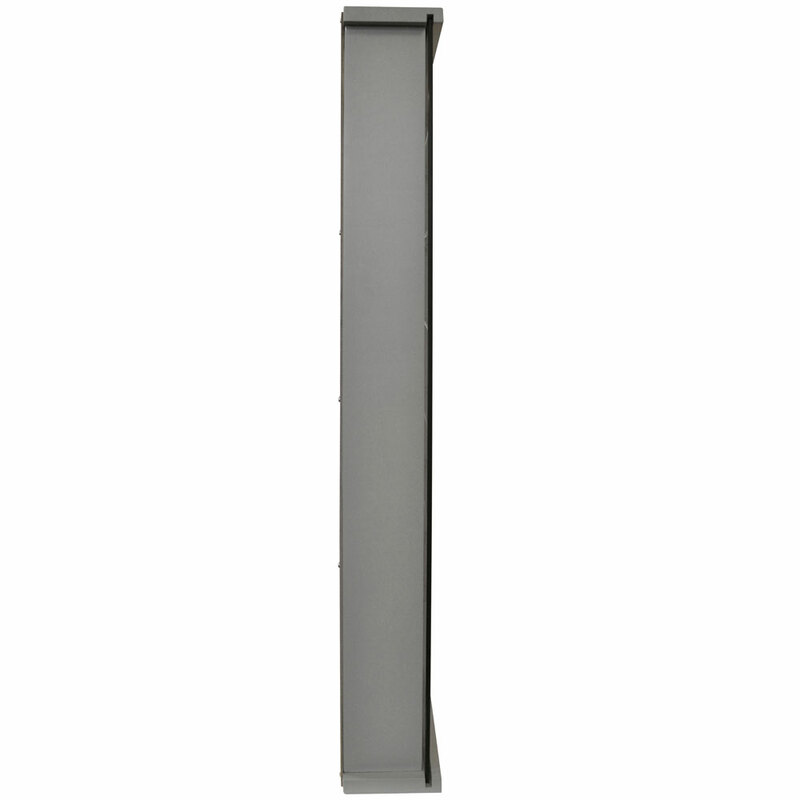 The 45.5w x 8.5d cm glass shelves have fixed position holes to slot onto - 6.4cm apart on centre over the complete height of the unit. 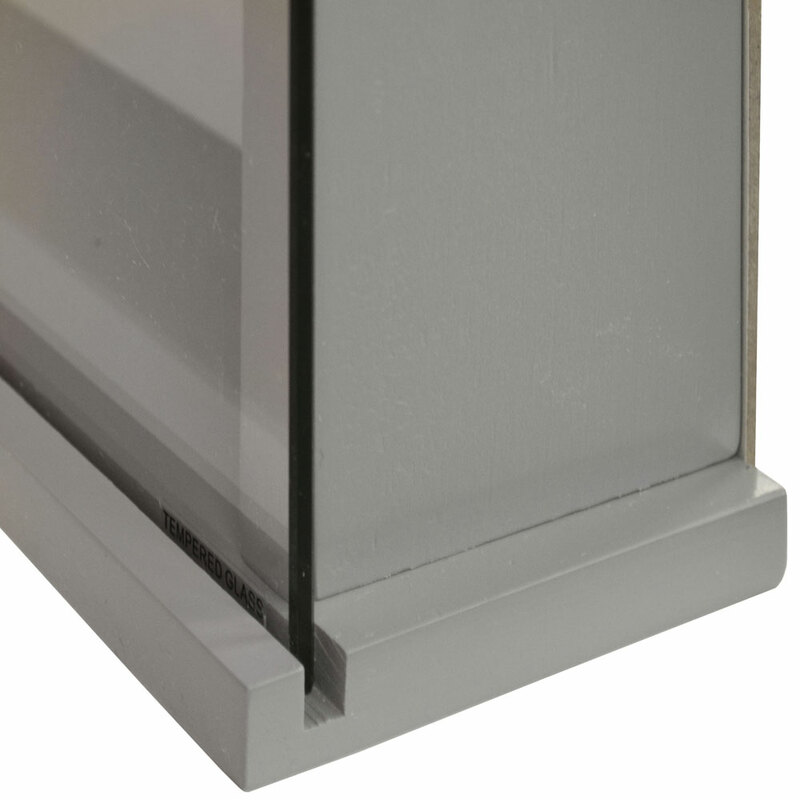 The glass door slots into grooves in the top and base of the unit, it can be slid out from either side or can be removed for easy cleaning or arranging. 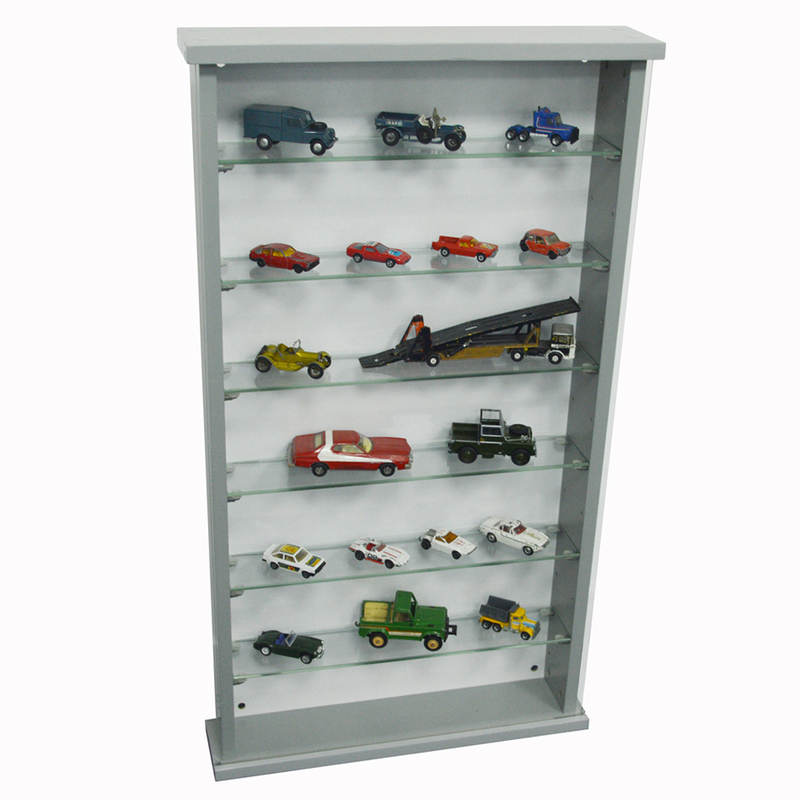 Ideal for showing off your collectables - from ornaments to model cars and trains.